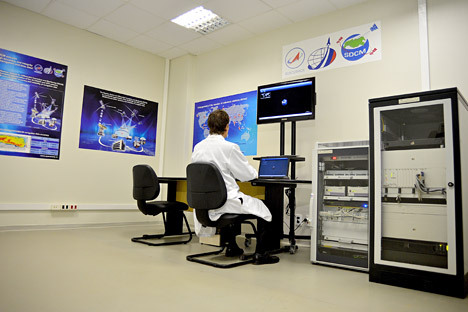 On May 8, China and Russia signed the BeiDou-GLONASS system compatibility and interoperability cooperation agreement. The implementation of the project will extend the use of global and regional navigation satellite systems in Brazil, Russia, India, China, South Africa and Pakistan as well as in Tajikistan, Kyrgyzstan and Uzbekistan. Russian and Chinese experts have developed a draft project to create a global international navigation system based on China’s BeiDou and Russia’s GLONASS satellite navigation for the member states of BRICS group and the Shanghai Cooperation Organization, Russian Space Systems company said in a statement on Tuesday. On Monday, Russia's GLONASS Union said Russia and China would also finalize a deal this month to establish two joint ventures to develop, manufacture and sell new satellite navigation devices that would receive signals from three major navigation systems, BeiDou, GLONASS and US Global Positioning System (GPS). "The project was approved at the second meeting of the Chinese-Russian committee for important projects in the sphere of strategic cooperation on the satellite navigation," the statement reads. The Chinese-Russian project is based on advanced Precise Point Positioning technologies, according to the statement. On May 8, China and Russia signed the BeiDou-GLONASS system compatibility and interoperability cooperation agreement, marking a new stage of navigation cooperation between the two countries.